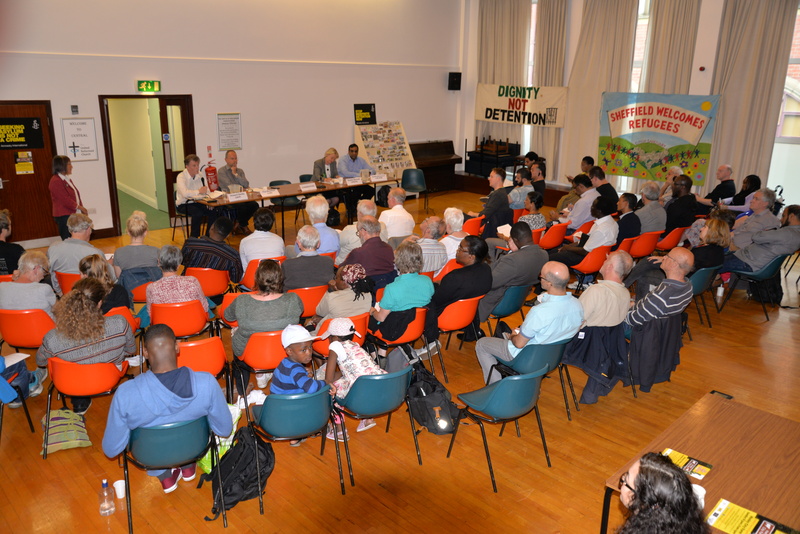 60 people came to an Asylum and Immigration Election Hustings in Sheffield on May 31st. 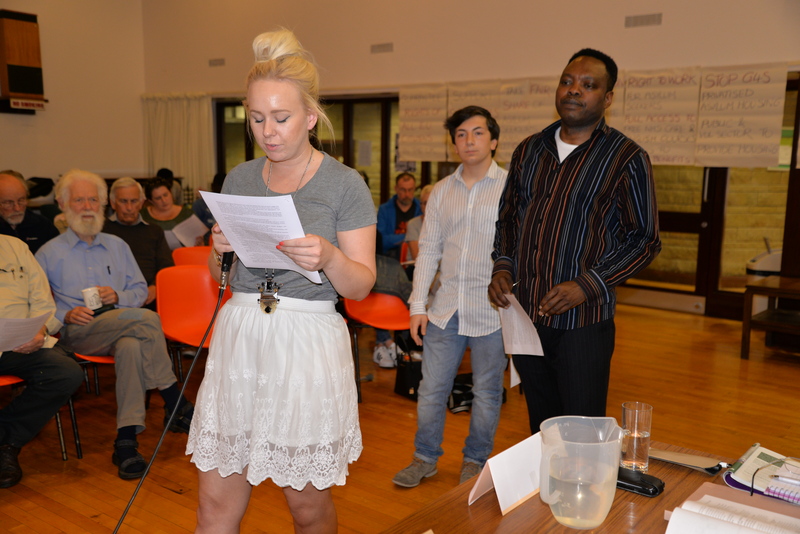 The meeting was organised by SYMAAG and supported by Sheffield’s many asylum rights groups. We had the chance to question local candidates Natalie Bennett (Green), Paul Blomfield (Labour), Howard Denby (UKIP) and Shaffaq Mohammad (Liberal Democrat) on their party policies on asylum and immigration. We invited a representative from the Conservative Party but they failed to represent themselves. After short introductions from the candidates they faced audience questions on their responses to hate crime and racism in Sheffield; asylum seekers facing enforced destitution; child refugees in Europe; levels of fees for asylum applications/appeals; difficulties for new refugees, especially women; how human rights and asylum rights are related and free movement in post-Brexit Europe. Apart from the UKIP candidate there was general consensus on all but the final point. Labour’s Paul Blomfield stated “when we leave the EU free movement will end” whereas the Greens’ Natalie Bennett pointed to free movement between the UK and Norway and Switzerland, both outside the EU. Natalie Bennett criticised the record of previous Labour and LibDem/Conservative coalition Governments over making asylum seekers destitute after their asylum claims had been rejected. Paul Blomfield pointed to his record in opposing indefinite immigration detention as an MP and member of Parliamentary Select Committees. Both Labour and Green candidates attacked the levels of fees charged to people making asylum applications/renewed applications which amounted to “having to buy justice” and Shaffaq Mohammad of the Liberal Democrats suggested that fees should be charged at levels which only cover administrative costs. We thank all those candidates who responded to our Election Pledges and who attended the hustings. 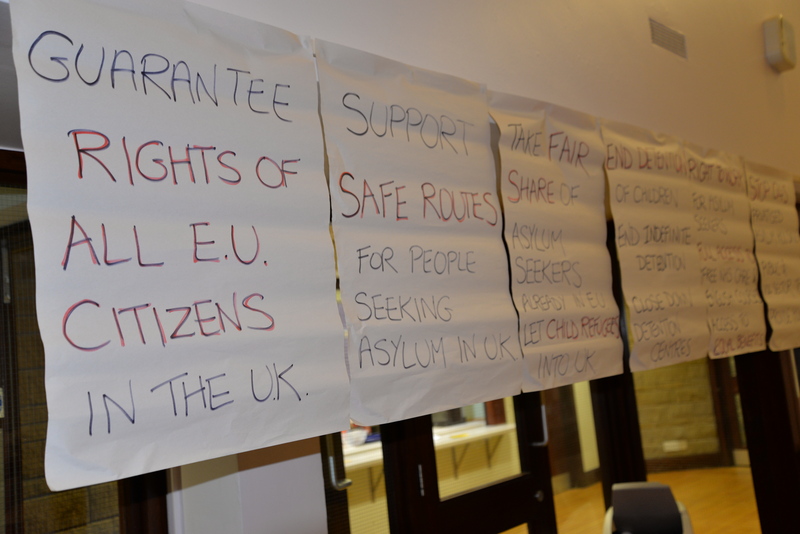 People seeking asylum – and many EU migrants – do not have the right to vote in UK elections. We urge those people who can vote to use it to support asylum and migrant rights on June 8th. Whatever the result of the election we will continue to hold MPs to account on their pledges to asylum and migrant rights.